The University of Pittsburgh has been awarded the 2017 Higher Education Excellence in Diversity (HEED) Award from INSIGHT Into Diversity magazine. The honor recognizes higher education institutions that demonstrate an outstanding commitment to diversity and inclusion. 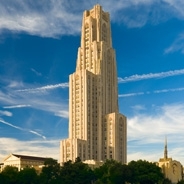 Pitt was one of only two institutions in the commonwealth chosen for the honor.